Flute: Refers to the thickness and number of ripples inside the corrugated material. E-Flute: E-Flute is stocked white on both sides and is a thinner, finer flute. B-Flute: B-Flute is stocked white on one side and brown kraft on the other. It is a thicker and wider flute. 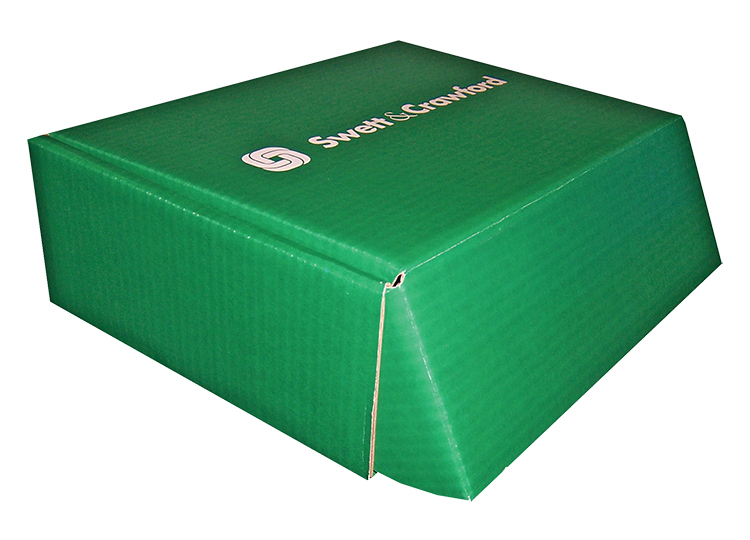 Both corrugated options are made of 60-70% recycled material. 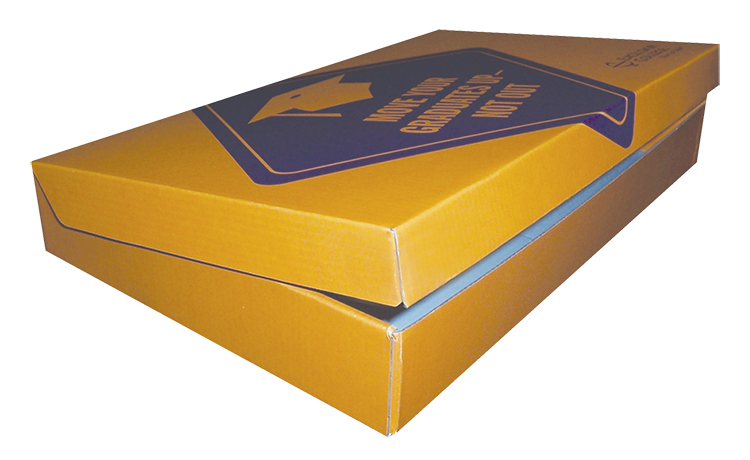 Other material variations are available on custom packaging and is best to call a Customer Service Representative. 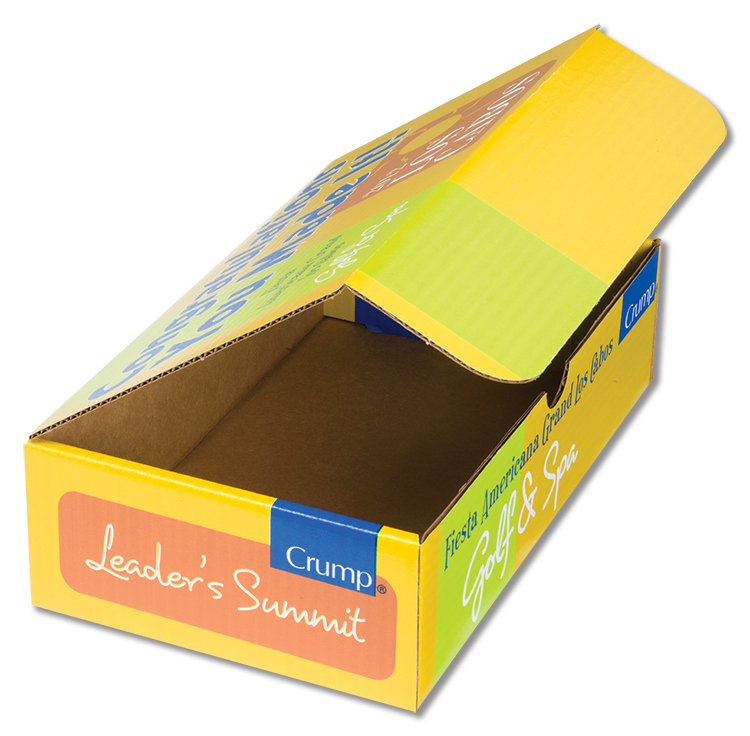 Chipboard is light weight and used mostly for point of purchase, collection boxes and items that conform to the package. Chipboard is stocked white on both sides. 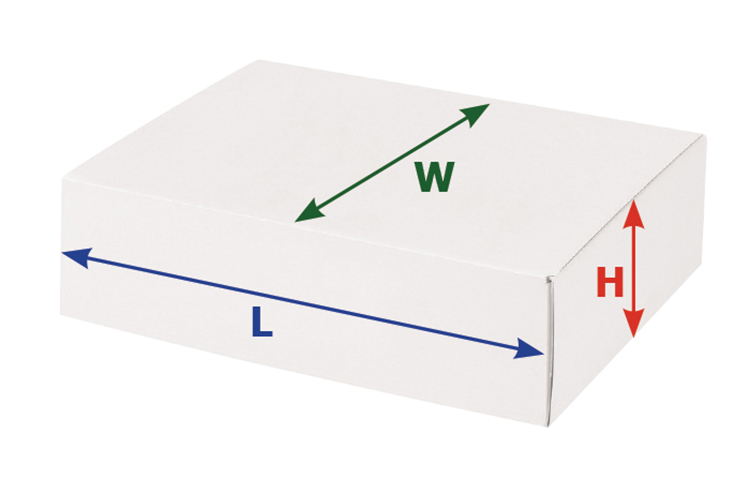 Refers to the way in which the box closes.